Back in January 2008, Man in Chair arrived at Royal Opera House to see this same production of La Traviata, only to be greeted by the terribly disappointing news that Anna Netrebko would not be singing that night. 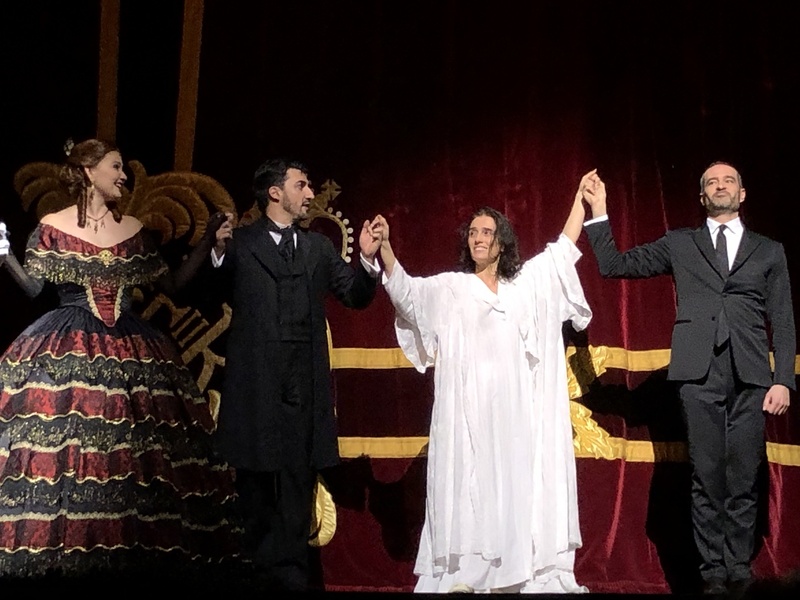 Playing opposite male stars Jonas Kaufmann and Dimitry Hvorostovsky, the replacement singer blossomed into a star before our very eyes, more than holding her own in such experienced company, and then, in the final act, firmly making the role her own. That unknown singer was, of course, Ermonela Jaho, now well established as one of the finest singing actresses on the world stage. 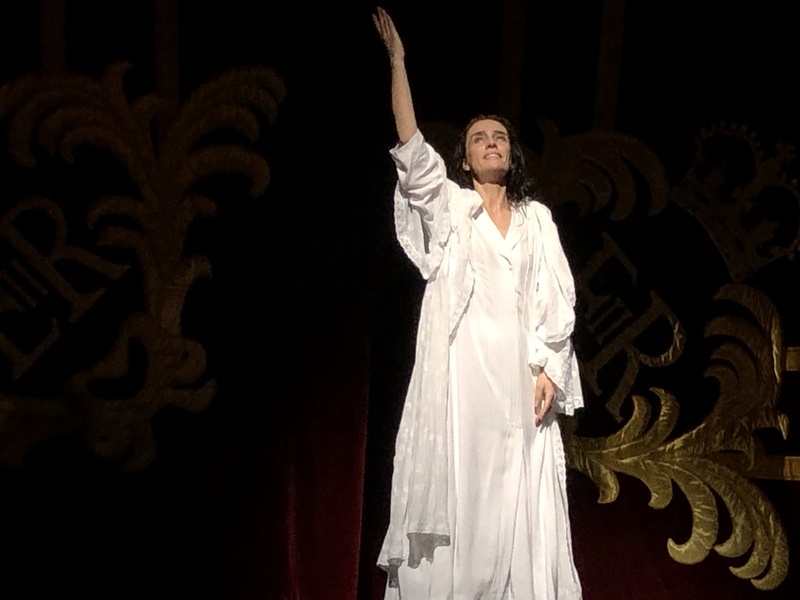 Returning again to play Violetta last night, Jaho more than capably demonstrated her status as a supreme actress, singing the role with myriad nuanced details and exquisite silvery sweetness. Her expression changing from moment to moment, Jaho flits from gracious to fearful to serene to lovestruck to courageous to outraged, all the while convincingly portraying the fragility of Violetta’s consumptive state. Amongst Jaho’s most impressive singing is the exquisite pianissimo conclusion to “Ah, fors’è lui,” which she sings lying on her back, basically breathing out the notes. During “Addio, del passato,” Jaho interpolates ghastly heaving breaths as Violetta clings to life, somehow doing so without interrupting the vocal phrasing in any way. Richard Eyre’s lavish production, designed by Bob Crowley, remains splendidly sumptuous and impressively grounded in realism. By contrast, the new La Traviata at Met Opera this season is garishly coloured, its storytelling let down by the single set. 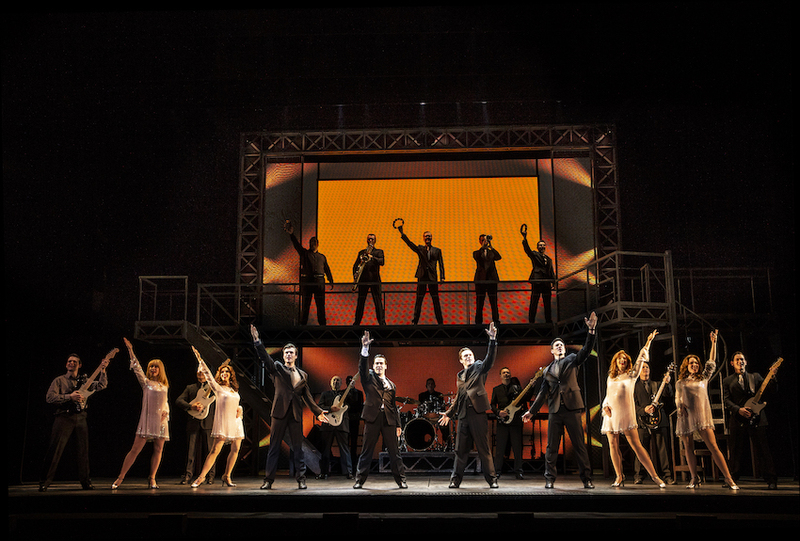 Jean Kalman’s lighting gives act one a gorgeous golden glow. Wonderful use is made of shadows, both for background dancing in act one and for the passing carnival in act three. From the opening death strings, maestro Antonello Manacorda maintains an exacting level of precision in his tight control of the Orchestra of the Royal Opera House. Manacorda’s intense focus gives confidence that the musical direction has been considered with the utmost care. Superb playing from the Orchestra is a clear highlight of the performance. American tenor Charles Castronovo sings Alfredo with an ardently romantic tone. Looking every bit the handsome young admirer, Castronovo initially shows Alfredo’s humility in the fine company at Violetta’s salon. Castronovo and Jaho enjoy string chemistry, and their intense delivery of “Un dì, felice, eterea” builds to a swoon-worthy kiss. In the role of Giorgio Germont, Russian baritone Igor Golovatenko sings with richly burnished vocal tone. Although Golovatenko’s portrayal of the conservative patriarch could be said to impervious to the feelings of others, the performance ultimately comes across as underwhelming next to the passion and focus of Jaho, Castronovo and the supporting artists. Of these supporting artists, young New Zealand tenor Thomas Atkins particularly distinguishes himself as Gastone de Letorières, singing with striking purity of tone and projecting a charismatic stage presence. 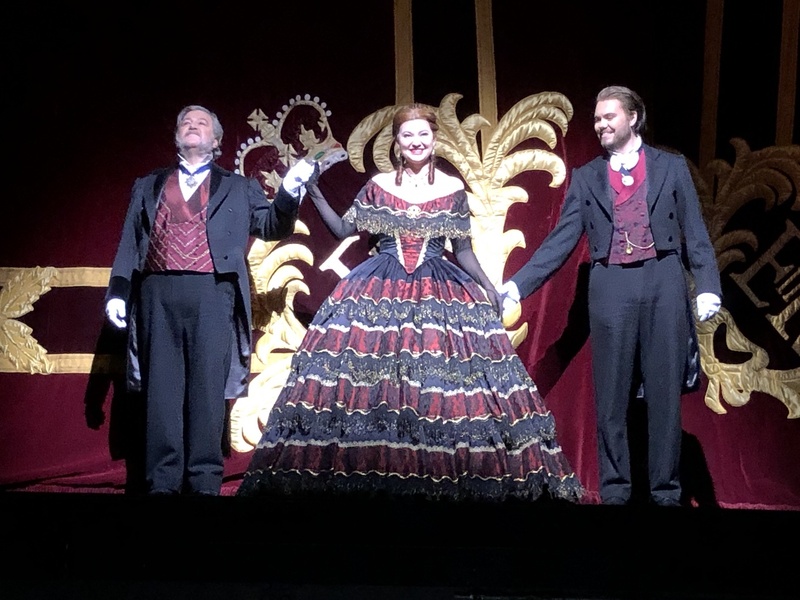 While the production is familiar, the extraordinary performance of Ermonela Jaho is a compelling reason to re-visit La Traviata. 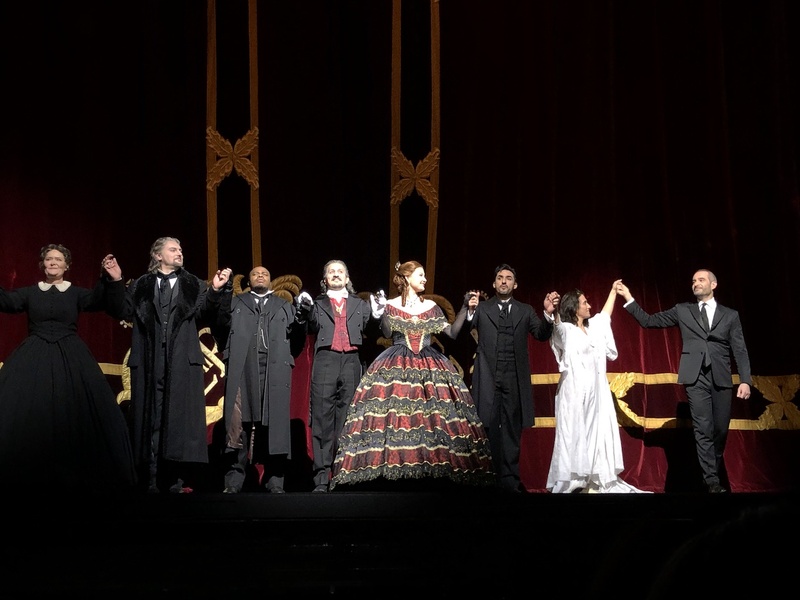 La Traviata was reviewed on opening night, 7pm Monday 14 January 2019 at Royal Opera House, Covent Garden, London. The season plus selected dates until 31 January 2019. La Traviata will be screened part of the live cinema season on 30 January 2019. La Traviata in song and dance in one trip …..what a treat for you ! I have a dvd of Charles Castronovo performing La Traviata with Natalie Dessay but even more mesmerising is the accompanying documentary Becoming Traviata that shadows the two artists in rehearsal for the show. 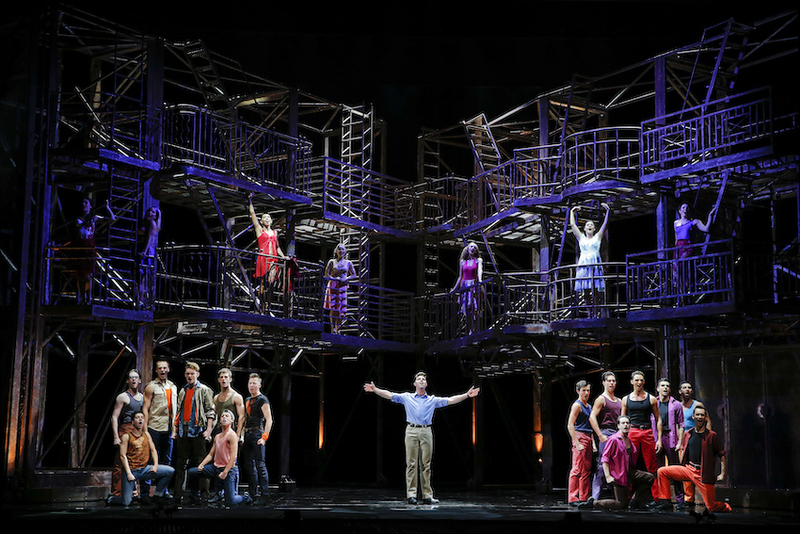 It has so enhanced my appreciation and understanding of the characters’ motivation and brings the scaled back libretto to real life , especially in the hands of Dessay. 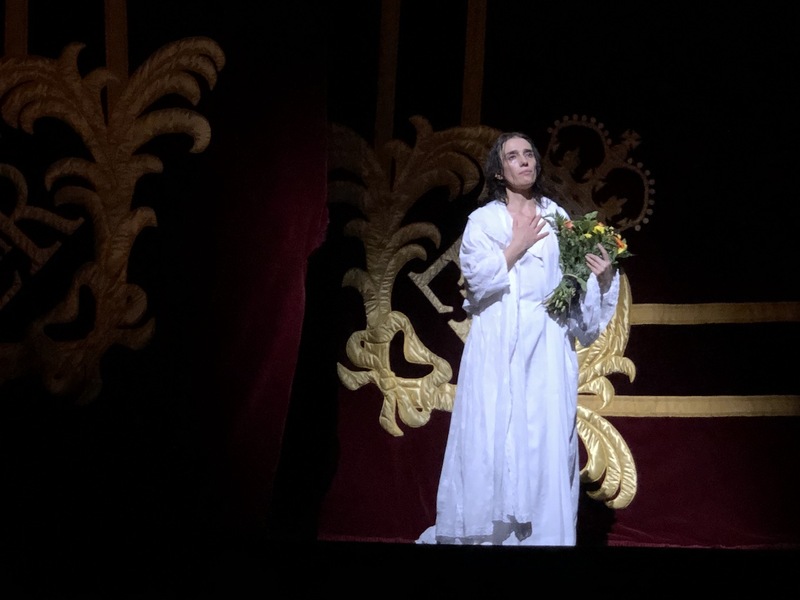 There’s more – in La dame aux Camelias, the characters go to see Manon, and I went to Manon (at English National Ballet) on Wednesday night. I must watch Becoming Traviata – sounds fascinating!